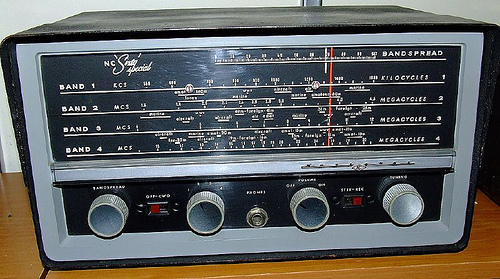 It may come as a shock to some people but to most of the world, shortwave radio is dead. To be more specific, propaganda shortwave radio is dead. It started Swiss Radio International had its plug pulled at the beginning of the 21st century. Other stations began to follow suit including Radio Canada International, Radio Nederland, Voice of Russia (ex-Radio Moscow), Spanish Foreign Radio, Radio Singapore, and many others. Even the Evangelical HCJB, the Voice of the Andes, in Quito, Ecuador, tore down its huge antenna farm in 2009, and began concentrating on domestic transmissions. The Christian ministry that operates HCJB moved its international broadcast ministry to Australia and focuses on people who probably won't purchase home computers. In fact that's what happened with Radio Australia and that may not last much longer. Today the Voice of America and BBC World Service still broadcast and the rest of the propaganda stations include mostly stations like Radio Havana, Radio Pyongyang, and the Voice of Vietnam. Family Radio's WYFR went off the air shortly after HCJB. As far as commercial and brokered shortwave radio, it's alive and well. One popular station in Southeast Asia was Suara Malaysia (Voice of Malaysia). It went off the air and tried webcasting. It never got any hits and the site was pulled off after six months. Then they realized the site was a mirror of the Malaysian Government's Ministry of Information website. I was an avid shortwave listener, and built several radios from kits. My favorite was the Knight-Kit "Star Roamer" from Allied Radio. I still have it, in fact. Hey, LoyalTubist, I think we need an entry for Morse Code.